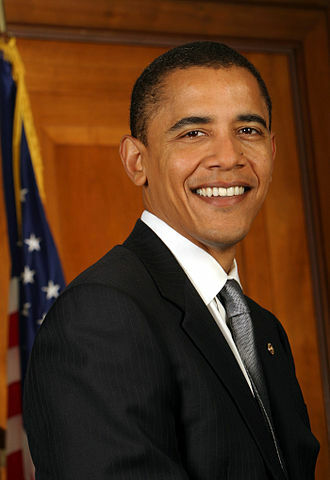 President Barack Obama has been elected for his second (and last) defeating the Republican Romney-Ryan ticket. It is not yet clear how would the American public react to the clear and present socio-demographic divide that has never been more real than during the last election cycle. However, what is absolutely clear is the urgent need for Bi-Partisan efforts from both Democratic and Republican members of Congress in order to avoid the upcoming fiscal cliff – which requires an immediate solution. Obama’s victory had surprised many Republican supporters that were certain that their own enthusiasm along with the disappointment with the performance of President Obama will enable Mitt Romney to come out with the upper hand. Now, with a Democrat in the White House and a Republican majority in the House of Representatives, leaders of both parties will conduct intensive negotiations which ultimately will have to result in a resolution that will allow The United States to avoid the Fiscal Cliff. The Fiscal Cliff is a term referring to the effect, that unless changed, will result in tax increases and spending cuts due to the expiry of a series of tax breaks and benefits signed into law by George W. Bush, Obama’s predecessor, that are about to expire on 01/01/2013. The Republicans are ought to realize that the renewed mandate received by the incumbent president from the American people, requires them to find common ground with Obama and reach a compromise as early as possible. If this compromise is not reached before January 1st, the Fiscal Cliff will affect both The United States and the entire world, leading the entire global financial community into a deep recession. The apparent compromise will probably include not raising taxes on the middle class, but at the same time, raising taxes on upper-class households and individuals. Ultimately, the equation is quite clear – a compromise that will lead to a solution before the end of the year will help the economy by restoring the consumers’ confidence and trust and hopefully starting a global positive process of growth. On the other hand, if both parties remain stubborn, not willing the compromise, the results might be disastrous due to the correlation between the global financial markets. For example, if the American market collapses, it will surely and immediately affect the Israeli market as well, not allowing the decision makers to raise the interest rates in order to fight the real-estate bubble. In addition, the Israeli exports would also be harmed and above all, the psychological effects of the crisis will have a negative impact on the Israeli economy. Barack Obama’s landslide victory over Mitt Romney reflects a clear mindset, an upset to be exact. The thing is that the middle-class hasn’t enjoyed the fruits of the growth in the past two decades. As a matter of fact – only those belonging to the upper-class have enjoyed it. Now, when faced with a serious crisis ahead, the middle-class isn’t interested, quite rightly, to be the only one that has to pay for the economic recovery. Today, we witness some kind of a paradox at The United States (and also in other countries) according to which large corporations and corporate executives enjoy a wide variety of tax breaks and benefits, allowing them to pay a lower rate of income tax than “ordinary” middle-class citizens. We should note that this gap in tax rates is not about Socialism vs. Capitalism, but about fairness. We are not going back to the days of Communism but rather amending the Capitalism’s own inherent flaws. If the Buffet Bill is in fact signed into law, it will have a significant impact on tax policy in the entire Western world, including Israel. The situation in Israel today is such that many companies and corporations have a long list of exemptions so that in fact, they often pay a 10%-15% rate. Thus, creating a clear disproportion between the tax rates of the major companies and those imposed on small and medium-sized companies and employees. Even if we accept the underlying premise that big companies must receive significant benefits for their contribution to the economy, we cannot possibly ignore the ever expanding gap. I believe the trend in most of the western countries will be narrowing the in income tax rates.